Water is essential to life. Not only does it serve as the medium in which all chemical reactions in the body take place, but it also makes up an essential part of the cell fluid, helps control the electrolyte balance in the body, provides protection to key tissues, serves as a transport medium and is crucial for proper functioning of the special senses. Water also constitutes the major part of sweat and so helps to regulate body temperature. The evaporation of sweat from the skin’s surface is a powerful cooling mechanism that allows the release of the heat produced by working muscles. However, together with water, some electrolytes are also lost through sweat. To prevent dehydration it is therefore important to replace both fluid and electrolytes, and athletes have long been advised to consume ‘as much fluid as possible’ to ward off the demons of dehydration. More recently, though, athletes and medical staff at sporting events have been told to limit hydration owing to the potential dangers associated with overhydrating* during long periods of physical activity. The advice may seem contradictory: drink enough fluids during activity to prevent performance-limiting dehydration, yet do not consume so much fluid that hyponatremia (low salt level in blood) develops. This may leave the athlete confused, because how much is then just right. Dehydration is defined as the sudden drop of fluid stores below the level that is required to support a steady-state condition of normal body water levels. If such low body water stores persist for an extended period of time, hypohydration can arise, which is a steady-state condition of decreased body water. Dehydration sets in when the amount of fluid lost through sweat, urine and respiration is not matched by sufficient intake. The risk for dehydration increases when the sweat rate increases, for example in hot conditions, during high- intensity activity or when participating in multiple training sessions on the same day. Inadequate access to fluids or food, poor compliance to an individualised hydration plan or failure to attain proper hydration at the start of the activity can also increase the risk for dehydration. Individual factors such as sweat rate, body weight, and personal preference for flavour or temperature of a drink, fluid tolerance and illness also need to be considered as possible contributors to dehydration. Dehydration can cause the core body temperature to rise; in short, the body overheats. It also puts extra strain on the heart because the loss of water thickens the blood, which requires the heart rate to increase to sustain a specific workload. When dehydrated, the athlete’s perceived effort increases greatly, and concentration and mental functioning diminish. To regain a proper fluid balance may prove difficult following dehydration owing to gastrointestinal discomfort and upsets that are often experienced. Overhydration refers not only to excessive fluid intake during exercise but also to the resulting low blood sodium levels. Overhydration is therefore also known as hyponatremia. 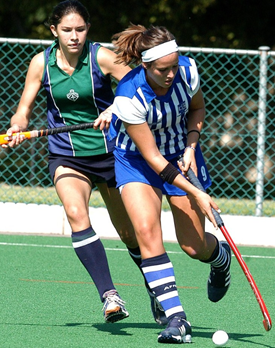 Athletes participating in events of more than four hours are at risk of overhydrating. Prolonged sweating encourages fluid intake over a long period, yet large amounts of sodium are lost. This is especially applicable to athletes who drink large volumes of water but without replenishing sodium, or slower athletes who are over- zealous about fluid consumption. Athletes participating in lower-intensity endurance activities are also at risk, because more fluid may be consumed over the duration of the event than is lost through sweating. 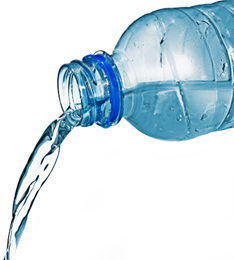 Overhydration left untreated can have serious consequences, such as seizures, coma and even death. Athletes should be sensitive to onset of thirst as the signal to drink, rather than ‘staying ahead of thirst’. It is also important to ensure that the fluids consumed include adequate amounts of salt (sodium), and during continuous days of exercise in hot weather to consume a little extra salt with meals and snacks. Body weight can be used to gauge hydration status. Weighing more after training than before is a sign of developing water overload. Non-steroid, anti-inflammatory drugs and pain relievers can contribute to developing a water overload. The main principle for preventing dehydration is that fluid intake should match fluid losses. Also remember that the sweat rate generally increases after 10 – 14 days of heat exposure, which means that a greater fluid intake will be required for a similar bout of exercise. 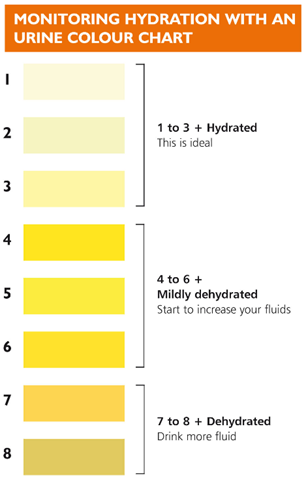 Urine that is plentiful, odourless and pale in colour (pale straw) generally indicates that a person is well hydrated. Dark strong-smelling urine (like the colour of apple juice), in small amounts could be a sign of deyhydration. Certain foods, medications and vitamin supplements may cause the colour of urine to change even though you are hydrated.